Where to party in Providencia? The owner of this bar religiously claims to have life music everyday, which most of the time is not true. Roland* is known by everyone in Providencia and his bar in my opinion is the best place to go if you want a crowd. 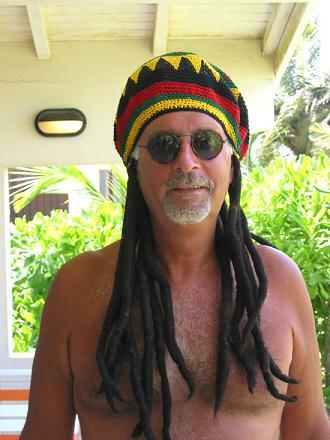 This bar sometimes is visited by "fresh water rastas" which is kind of annoying. Rastafarian themed bar, right in the middle of Sout West Bay. Richard is very cool to talk because 99% of the time is high. Small bar on the northest part of South West bay. There's a very steep ramp from the main road about 20 meters down the road from the viewpoint. This is very steep and i've seen tourist fall a few times. Unless you are scooter savy i'd advice againt going down or up this ramp and instead go all the way to the Southwest Bay main road and turn right at the end of it. A little club located in the entrance of Maracaibo. This is the newst place in Providencia, is located on Fresh Water Bay right by the cemetery, If you ask a local they probably won't know about it. This place is amazing if you are wanting to catch the sunset or mingle some delicious local treats. They have a simple finger food menu and 5 to 7 pm happy hour cocktails for a fair price. Besides these bars, there's a couple of places that you might want to try, but you better ask a local while you are there what the nice places to go at the time of your visit. Remember to apply or bring mosquito repellent. *Roland is now famous becase he appeared on a Colombian reality show called "Desafio 2011" We hope that that didn't affect his ego and cocktail making skills.